Gabriel Macht’s ‘Suits’ has been renewed for Season 9 — the show’s last and final season. The NBCUniversal-owned basic cable network has renewed the legal drama from Aaron Korsh for an abbreviated ninth and final season. The final round of 10 episodes will air sometime this year, reports hollywoodreporter.com. The decision to wrap up the series arrives as showrunner and creator Korsh has ‘Pearson’, a spinoff fronted by original star Gina Torres. A premiere date for the spinoff has yet to be determined. 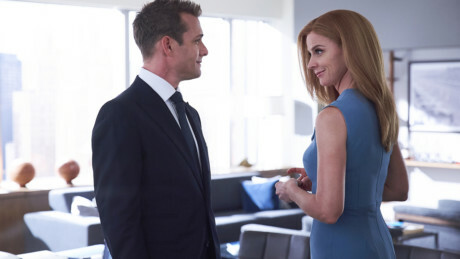 The second half of season eight of ‘Suits’ premiered internationally on January 23. “Though I know it isn’t true, it seems like only yesterday USA Network took a chance on an unestablished writer’s very first hour-long script. These days that’s a common thing, but 47 years ago when I first wrote the untitled Korsh project, nobody did it,” Korsh said. “I look forward to enraging and hopefully sometimes delighting you with the final episodes. Finally, to my wife Kate and my children, Cooper and Lucy: Thank you for enduring countless late nights and times away, for me to get to live my dream. I love you,” Korsh added. ‘Suits’ becomes the latest network-defining scripted series to wrap this year, joining heavyweights including ‘Game of Thrones’, ‘Orange Is the New Black’, ‘Veep’ and ‘Big Bang Theory’ among others. Previous cast members on ‘Suits’ include Meghan Markle and Patrick J Adams. The show’s current season features Hollywood star Katherine Heigl.